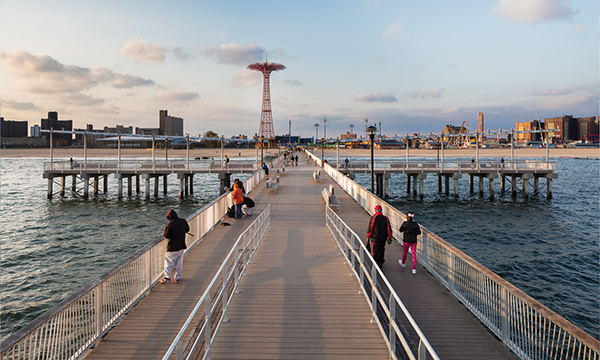 In the aftermath of Hurricane Sandy, LTL Architects was hired by the New York City Department of Parks & Recreation and the Department of Design and Construction to be part of a collaborative team charged with restoring access to the beaches. 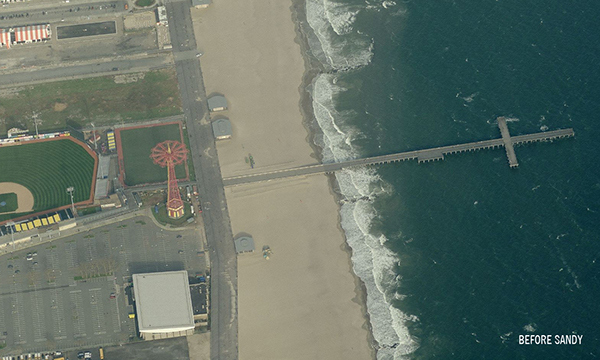 LTL Architects was given the challenge of redesigning the iconic Steeplechase Pier which had sustained significant damage during Sandy. 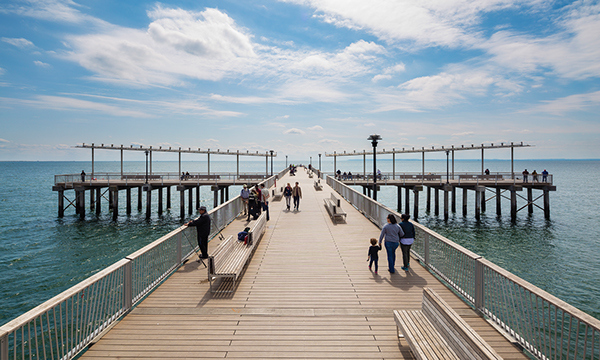 The reworking of this pier gave an opportunity to rethink the pier's identity to meet current and future needs, while acknowledging its historical legacy. 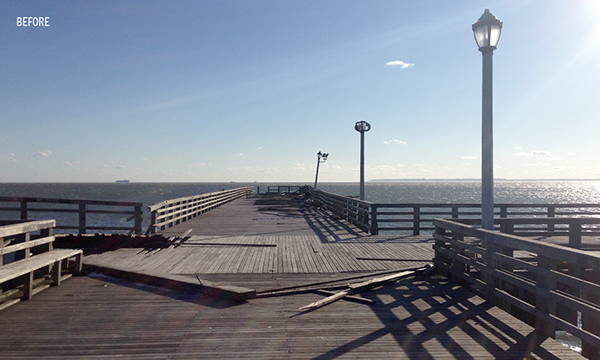 When it was originally built, the three-football-field-length pier accommodated ferry boats bringing customers to the amusements of Coney Island. 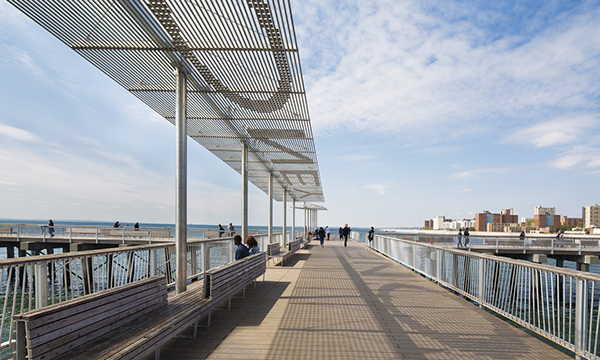 In recent years, with the ferry connection no longer in operation, the Steeplechase Pier has itself become a destination, serving as a public promenade, fishing perch, and tourist destination. 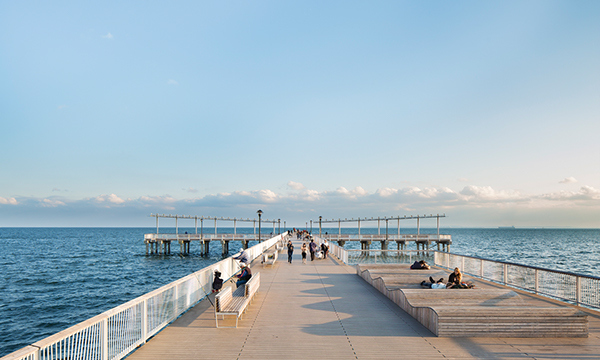 • A series of new double-sided benches, allowing users to view either the water or the urban spectacle. 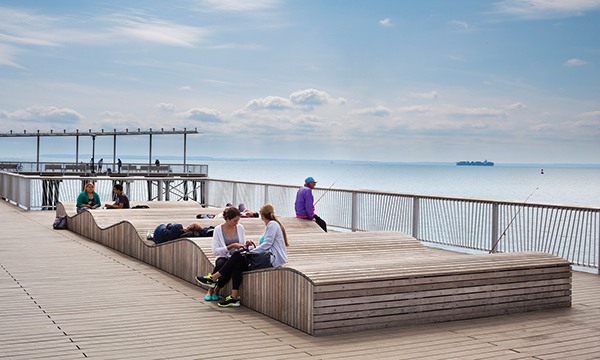 • A communal wave-shaped bench, providing a collective surface for lounging. 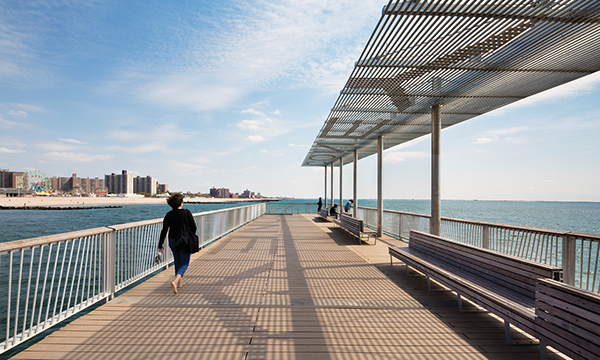 • A shade canopy with the words "CONEY ISLAND," on sunny days casting the name in shadow on the deck. 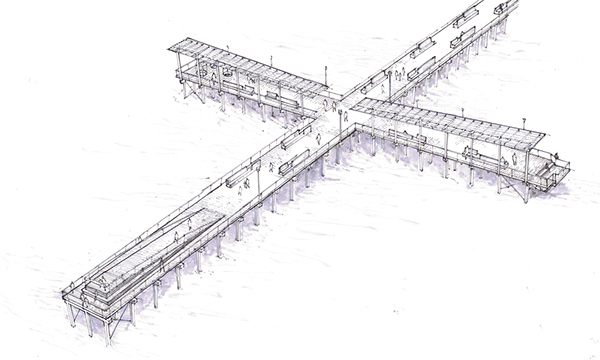 • An elevated observation platform at the end of the pier, providing an uninterrupted vista to the horizon, while facilitating circulation. • A new guardrail system with custom angled posts that catch and reflect sunlight. 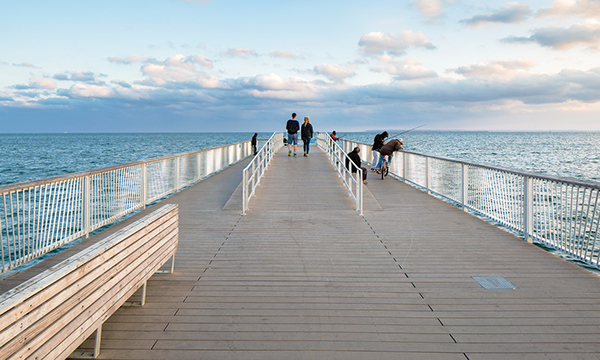 Renovation of historic Steeplechase Pier in Coney Island in the wake of Hurricane Sandy.